Driving around Midland is a lot of work for your alternator, and as upgrades such as heated steering wheels, cooled seats, stability control and lane departure warning become more common, it will have to work even harder. Eventually this workhorse just wears out. When it does you have no choice but to order an alternator replacement because your vehicle won't run without one. Come see your friendly and professional service advisor at West Texas Automotive to learn more. Hello Midland drivers, let's talk about batteries. Car batteries are just like any rechargeable battery. They will eventually wear out and die. 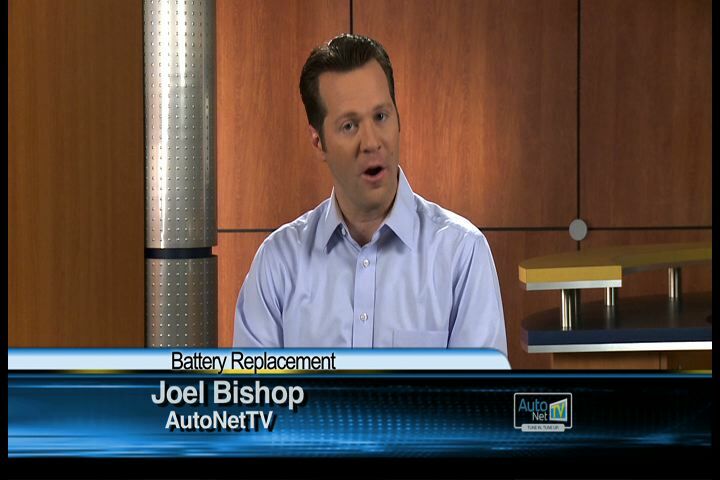 If you are shopping for a new battery in Midland, here's some auto advice to help you. Your friendly and knowledgeable service advisor at West Texas Automotive in Midland can help you choose an appropriate battery for your vehicle and your lifestyle. If you need extra power owing to cold weather or a need for more reserve capacity, you may want to choose a heavy-duty battery. Just make sure it fits into your vehicle. An oversized battery may give you the power you need, but it's a serious safety hazard if the terminals come into contact with other parts of the vehicle. Keep in mind that preventive maintenance performed at West Texas Automotive and good vehicle care can extend the life of your battery. Judicious use of electric gadgets and good driving habits are wise and can help you get the most out of your battery. The simple fact is that 70% of car batteries fail within 4 years. They just need to be replaced at West Texas Automotive when they are no longer able to hold a full charge. Batteries are a big ticket item for most Midland drivers and it’s tempting to put off buying a new one as long as possible. But a battery that cannot hold a full charge requires the alternator to work extra hard, causing it to wear out prematurely. Your West Texas Automotive service advisor can test your battery to see if it should be replaced. Testing is a good idea for Texas drivers because a battery might still be good, but become dead because of a bad alternator or even a worn serpentine belt and tensioner. Hello, welcome to West Texas Automotive. Today's focus is batteries. It seems like everything in Midland runs on batteries. Of course, the batteries we're most concerned with here at West Texas Automotive are those in our customer's vehicles. Just like the batteries in our smoke detectors or TV remote, they wear out and need to be replaced . This can be thought of as the power output used to start a cold vehicle engine. The number of cold cranking amps you need depends on your vehicle and where you live in Texas, specifically how cold it is. (Many Midland drivers have first-hand experience trying to start their car on a cold winter morning.) The two factors are that the colder your vehicle's engine is, the more power it takes to turn the engine over to get it started. It has all that cold, sluggish oil to contend with. The other factor is that the chemical reaction in the battery that creates electrical energy is less efficient when the temperature dips. Let's say it's 80 degrees Fahrenheit (27 degrees C) in Midland. At that temperature, 100% of the battery's power is available. At freezing, only 65% of battery power is available, but it requires 155% as much power to start the engine as it did at 80 degrees F (27 degrees C). So if you live where it's cold in Texas, you need a battery with more cold cranking amps than you do where it's moderate or hot. The battery that originally came with your vehicle was based on averages. At West Texas Automotive, we like to remind Midland drivers that they should always get at least as many cold cranking amps as their vehicle manufacturer recommends but may want to upgrade if they live where it gets real cold. 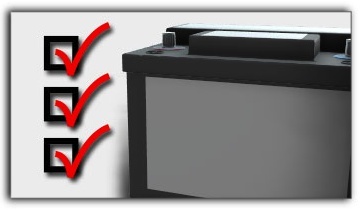 One thing all Midland drivers can do to extend the life of their battery is to keep it clean. A greasy, dirty battery holds in damaging heat. Same goes for removing corrosion from the terminals. 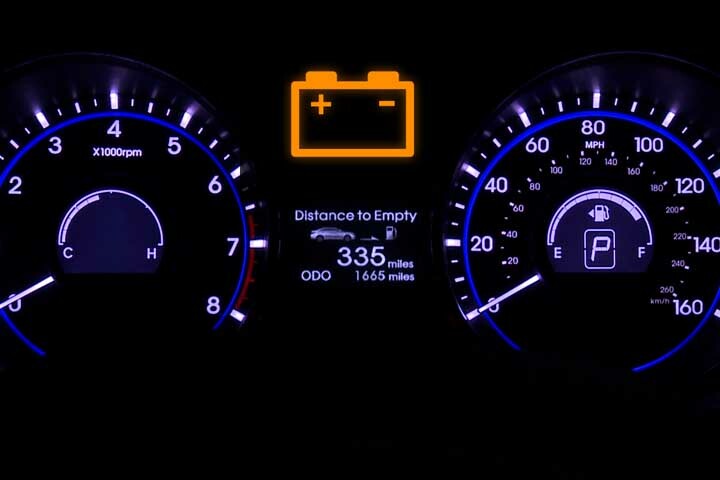 West Texas Automotive can help maintain your battery. Also, making sure you have a full charge every month or so extends battery life. Either an extended drive at freeway speeds around the Midland are or using a battery charger will preserve your battery’s ability to hold a full charge. It's important for Midland drivers to know battery basics. First, let's talk about which is harder on a battery – hot or cold Texas weather. Most Midland area drivers think it's cold weather because that's when we call on our batteries to have enough power to start a cold vehicle engine. However, heat does more damage to a battery than cold. Truth is, our batteries start to die a little from day one. Keeping a full charge slows the process, which is hard with short Midland trips because the alternator doesn't have time to fully recharge the battery from starting the engine. Midland drivers can top off the charge with a computer controlled battery charger – say, once a month in the summer and every three months during the winter. If you're pushing 4 to 5 years on your battery, see your friendly and knowledgeable West Texas Automotive service assistant for a battery test to see if it's recommended to replace it. 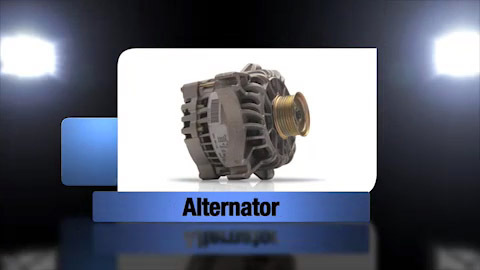 Not only can you avoid getting stranded with a dead battery on a Texas road, but you'll save unnecessary wear and tear on your vehicle alternator.